Maria Montessori was, in many ways, ahead of her time. Born in the town of Chiaravalle, in the province of Ancona, Italy, in 1870, she became the first female physician in Italy upon her graduation from medical school in 1896. Shortly afterwards, she was chosen to represent Italy at two different women's conferences, in Berlin in 1896 and in London in 1900. In her medical practice, her clinical observations led her to analyze how children learn, and she concluded that they build themselves from what they find in their environment. Shifting her focus from the body to the mind, she returned to the university in 1901, this time to study psychology and philosophy. In 1904, she was made a professor of anthropology at the University of Rome. Her desire to help children was so strong, however, that in 1906 she gave up both her university chair and her medical practice to work with a group of sixty young children of working parents in the San Lorenzo district of Rome. It was there that she founded the first Casa dei Bambini, or "Children's House." What ultimately became the Montessori method of education developed there, based upon Montessori's scientific observations of these children's almost effortless ability to absorb knowledge from their surroundings, as well as their tireless interest in manipulating materials. Every piece of equipment, every exercise, every method Montessori developed was based on what she observed children to do "naturally," by themselves, unassisted by adults. Children teach themselves. This simple but profound truth inspired Montessori's lifelong pursuit of educational reform, methodology, psychology, teaching, and teacher training--all based on her dedication to furthering the self-creating process of the child. Maria Montessori made her first visit to the United States in 1913, the same year that Alexander Graham Bell and his wife Mabel founded the Montessori Educational Association at their Washington, DC, home. Among her other strong American supporters were Thomas Edison and Helen Keller. In 1915, she attracted world attention with her "glass house" schoolroom exhibit at the Panama-Pacific International Exhibition in San Francisco. On this second U.S. visit, she also conducted a teacher training course and addressed the annual conventions of both the National Education Association and the International Kindergarten Union. 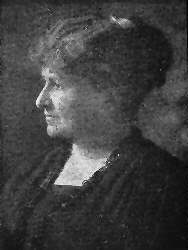 The committee that brought her to San Francisco included Margaret Wilson, the daughter of U.S. President Woodrow Wilson. The Spanish government invited her to open a research institute in 1917. In 1919, she began a series of teacher training courses in London. In 1922, she was appointed a government inspector of schools in her native Italy, but because of her opposition to Mussolini's fascism, she was forced to leave Italy in 1934. She traveled to Barcelona, Spain, and was rescued there by a British cruiser in 1936, during the Spanish Civil War. She opened the Montessori Training Centre in Laren, Netherlands, in 1938, and founded a series of teacher training courses in India in 1939. In 1940, when India entered World War II, she and her son, Mario Montessori, were interned as enemy aliens, but she was still permitted to conduct training courses. Later, she founded the Montessori Center in London (1947). She was nominated for the Nobel Peace Prize three times--in 1949, 1950, and 1951. Maria Montessori died in Noordwijk, Holland, in 1952, but her work lives on through the Association Montessori Internationale (AMI), the organization she founded in Amsterdam, Netherlands, in 1929 to carry on her work. 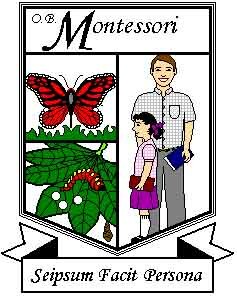 This page is created by Erving & Katrina for OB Montessori center inc. All logos on this webpage is the property of OB Montessori center inc.